As flood waters begin to recede in Texas and daylight illuminates the destruction caused by Hurricane Harvey, many architects are wondering what the next steps will be as recovery plans begin to take shape. 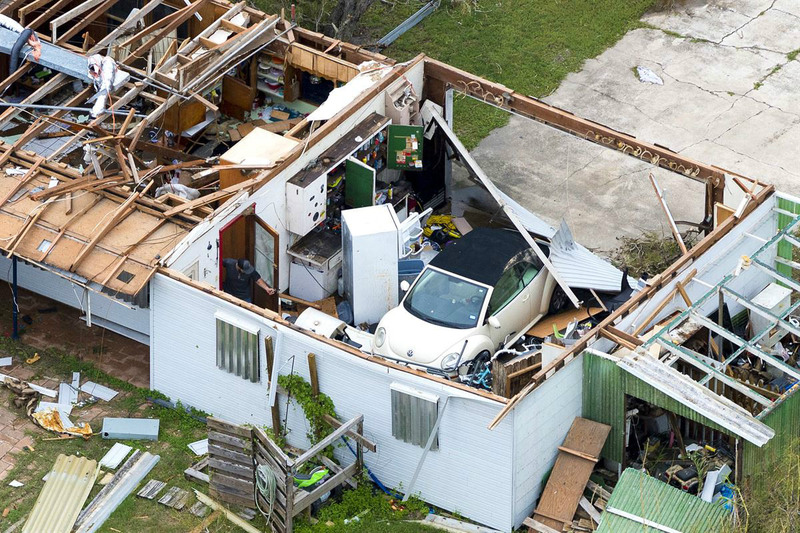 The short-term work will be to assess the damage and make the built environment safe for families to return; however, the long-term planning may take months or likely years of advocacy and design to fully implement. The Houston chapter of the AIA, the Texas Society of Architects, and FEMA will begin this week to train architects and engineers as part of the AIA’s Safety Assessment Program (SAP). This program helps to ensure the safety of the public as thousands of families return to their storm-battered houses and business in the coming weeks. Architects can help save millions of dollars for cities along the coast by volunteering to evaluate the habitability of these structures, freeing up funds for life safety and other emergency services. These volunteers will also help to compile data that will be used to develop new response strategies and better inform residents about how to manage the reconstruction of their houses. The last major hurricane to hit Houston was Ike back in 2008 in which the flooding conditions were not as severe, though many consider it an early warning of what was to come. According to Rusty Bienvenue, the executive director of AIA Houston, there are a variety of opinions about why the flooding was so extensive, but ultimately, “no city in America is prepared for 35 inches of rain all at once.” Bienvenue cautioned against blaming the extensive flooding wholly on Houston’s zoning codes, or rather lack of code, arguing that approach is a narrow analysis of the complex environmental conditions. “We need to look at codes and strengthen them in some cases, but I get grumpy when some blame everything on supposedly bad design in Houston,” he said. Bienvenue indicated that poor regional planning and overbuilding around the reservoirs may have had detrimental effects on Houston’s ability to drain its floodwaters during the worst of Hurricane Harvey. He also pointed towards a more pernicious problem, which is the likelihood that the severity of this storm was the result of global climate change. Resiliency planning and design has been a topic of great debate among Texas’ academic institutions, particularly at Rice University’s SSPEED Center in Houston, Texas and Texas A&M’s Hazard Reduction and Recovery Center in College Station, Texas. These and other issues will be at the forefront of the discourse as designers look for solutions to safeguard American coastal cities.